Make a smooth transition from short to long with these five tips from our barbers. But did you know there are steps you can take to help your hair grow faster and stronger? 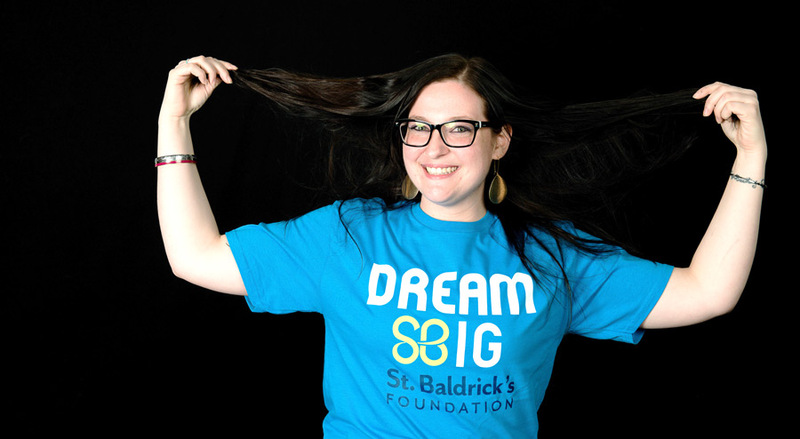 Whether you long for long locks or you’re just growing your hair out to shave it again, here’s some great advice from the ones who know hair best: our St. Baldrick’s barbers. Good nutrition is essential for healthy, growing hair. You’ll want to eat a diet rich in leafy greens, lean meats, nuts and seeds. You might also consider taking hair-nourishing supplements like biotin and vitamin E.
Even though you’re going for length, you’ll still want to trim your hair every four to eight weeks to prevent the hair from breaking and thinning out. As the hair gets longer, use conditioner to keep the ends healthy and strong. A scalp massage doesn’t just feel great — it can help you relax AND help your hair grow faster! Place all 10 fingertips on your head, apply gentle pressure and rub in small circles. Work your fingers around your head from your hairline down to the nape of your neck. For best results, massage your head at least once a day for two minutes. 4. Talk to your stylist. You can still have fun with all the in-between lengths while you’re waiting for your hair to get long. Tell your stylist what you ultimately want your hair to look like — they can help you find a cut that compliments your face AND that will grow nicely into the look you want. You don’t have to shave your head to raise money for children’s cancer research. You can do what you want! Pass the time waiting for your hair to grow by planning a fundraiser for kids with cancer.